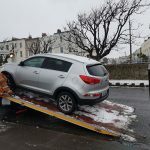 Dublin City Recovery – AA approved – Breakdown and tow truck services in Dublin, Ireland. Dublin City Recovery Ltd is Dublins leading breakdown and recovery service. We offer a professional service whether you need a jump start or a wheel change, all the way to car crashes, lost keys and everything in between. ‘We go that extra mile‘ is something we truly believe in and we do our best to live up to that statement, from our top of the range tow trucks to our fully trained staff we offer the best service at competitive rates. We are open 7 days a week, 24 hours a day so no matter when you need us, we are available. Yes that includes, bank holidays, Easter and even Christmas. Essentially, we never close. Customer satisfaction is very important for us that is why we go that extra mile. We service both private and commercial customers. No job is too small. We deliver new and used cars all across Ireland and Northern Ireland. We can safely transport anything from small motorbikes to large vans and everything in between. 24-hour breakdown assistance & recovery in Dublin and surrounding areas. Recovery service for cars or light commercials. Fully equipped to deal with every type of breakdown recovery. When you need assistance you can trust that Dublin City Recovery is equipped to help, whatever the circumstances. Dublin City Recovery is never too far from you. We have a number of roaming recovery vehicles throughout Dublin. We are very likely to provide roadside assistance in under 30 minutes. We provide vehicle pick-up and transport from and to any location in Ireland, Northern Ireland and the UK. We provide short term secure vehicle storage at our Dublin location, at very competitive prices. Dublin City Recovery are approved car recovery and roadside assistance contractors for the AA, RAC (Hibernian Aviva), MIS Claims and AIG as well as many garages and dealerships around Dublin. We have a varied fleet of tow trucks that are capable of towing the lowest sports cars to the heaviest of vans. We have crew cabs to ensure that all of your passengers can be moved as well as your vehicle. We have a car park assistance unit that we use for car recovery from height restricted car parks, like shopping centers etc. All our tow trucks have vehicle tracking so you can monitor the progress of your vehicle transportation. We are PAS43 approved which means that all our recovery trucks are tested and maintained in compliance with European Standards. Our fully comprehensive Breakdown & Recovery agent insurance covers your vehicle while in transit or storage.